Printed Circuit Board, namely Printed Circuit Board, is called "mother of electronic products". PCB Board should be equipped for all electronic equipment or products so that the downstream demand can be sustained and stable. The development level of the industry can reflect the development speed and technical level of the electronic information industry in a country or region to a certain extent.5G construction will undoubtedly become an important driving force for PCB industry growth in the next 2-3 years. HDI board refers to High-Density Interconnect, namely High-Density Interconnect board. 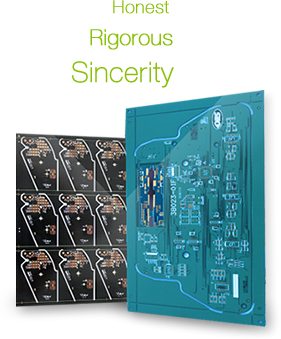 It is a relatively new technology developed by the PCB industry at the end of the 20th century. When the drilling hole size of the traditional PCB reaches 0.15mm, the cost is very high and it is difficult to improve it again because of the affection by the drilling tool. How is a PCB board made? PCB, which full name is printed circuit board is indispensable for all electronic products. It is actually bonded together by several layers of a resin material, and the inside is made of copper foil. A typical PCB circuit board is divided into four layers. The uppermost and lowermost layers are signal layers. The middle two layers are the ground plane and the power plane. The ground and power layers are placed in the middle so that the signal lines can be easily corrected. Some boards with higher requirements can reach 6-8 layers or more. PCB is the abbreviation of Printed Circuit Board. Translated into Chinese is called printed circuit board. Because it is made by electronic printing, it is called "printing" circuit board. PCBA is the abbreviation of Printed Circuit Board Assembly. PCBA is a finished product formed by SMT patch, DIP plug-in and PCBA test, quality inspection assembly and other processes, which is referred to as PCBA.